The media spotlight is often a double-edged sword. No one knows this better than the people who suffer from Fosamax severe adverse events. And yet, gossip and rumor-mongering aside, the real story here is being overlooked according to Sean Burke of AttorneyOne. On February 27th, 2012, a jury trial began in the Superior Court for Atlantic County, New Jersey in In re: Fosamax Litigation (No. 282). 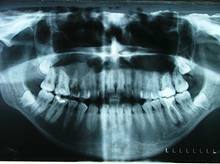 In the case, plaintiffs allege that their Fosamax use caused them to develop osteonecrosis of the jaw ("ONJ"). Fosamax, manufactured by Merck, is a drug approved by the FDA in 1995 to treat post-menopausal osteoporosis and Paget's disease of bone. ONJ is a rare bone disease that can cause the patient's jaw bone to deteriorate and die. The Honorable Carol E. Higbee, who is overseeing the mass tort action, is presiding at the sixth Fosamax Lawsuit (ONJ) to go to trial. Since 2001, more than 2,400 patients taking bone building medications have reported cases of ONJ. To repair jaw bone damage, a painful surgery is required to remove dying bone tissue. ONJ side effects include infection, pain or swelling in the infected jaw, exposed oral bones, numbness and loss of teeth. A connection was discovered between the class of drugs known as bisphosphonates, including Fosamax, and Osteonecrosis of the Jaw (ONJ). This connection was published in the Journal of Oral and Maxillofacial Surgeons in December 2007, revealing that the side effects of Fosamax may include ONJ. In March 2010, Merck released a statement providing information for ONJ in its "Adverse Reactions" section of the Fosamax package circular as well as in the patient package insert. AttorneyOne.com has further information on Fosamax Lawsuit including how to get in contact with legal counsel. Headquartered in San Diego, CA Attorney One was founded in 2004 and is not a law firm. They offer a nationwide legal service which helps consumers find the best representation for their legal needs. Checkout earlier legal news from us at http://www.prweb.com/releases/2012/3/prweb9256792.htm.